As a shopkeeper or store owner, your biggest concern is keeping your products up to a certain standard. You don’t want a customer to later be disappointed at the quality of your products. That being said, all of your attention to quality control would go to waste if customers weren’t able to see your products in the first place, let alone consider buying them. Lighting is one of the most important aspects that draw customers to your store in the first place. And, there’s a lot more to it than just picking out a random set of lights to make sure your customers can adequately see your products and don’t bump into each other in your store. Many people make the mistake of either putting too much money into overly-fancy lightning fixtures or not caring at all and choosing the extremely boring kind. Balance is key here; you don’t want your lighting fixtures to be too standard and leave absolutely no impression on your customers, but you don’t want to go overboard (and potentially waste a lot of money too) with fancy lights everywhere in your shop, which would most definitely feel out of place. The color of lighting is also very important and can leave a deep impact on your customers. Now, before anyone gets any funny ideas, any colors other than the variations of white (warm white, daylight, and cool white) are off the table; you’re not running a club or a bar, are you? With that out of the way, the way you decide among the variations of white is simple: if you want to give off a vibe from your shop that makes it feel cozier and homely, then warm white is your best choice (explains why most restaurants choose this lighting color). Conversely, go for cool white if you aim to make your store feel roomier and professional. As for Daylight, since it lies in the spectrum between warm and cool white, you can use it to capture the best of both worlds, if you use it cleverly that is. 3. LED or Fluorescent Bulbs? As far as performance and lifespan go, there’s no questioning LED bulbs are greatly superior to Fluorescent bulbs in almost every way; everything Fluorescent bulbs offer, LED bulbs can exceed (or at the very least match) in all cases. The best LED shop light can even be used for all kinds of lighting styles (discussed later), while Fluorescent bulbs are only really good for general lighting and task lighting. So why is there even an argument between the two? Well, that’s because Fluorescent bulbs are far more economical. They cost less than LED bulbs and do a pretty decent job, which is all you might need at the end of the day. Our advice? If money is not an issue, LEDs are the way to go, but Fluorescents can be great stand-ins till you’re ready to upgrade. There are three main styles to remember: Ambient (general) lighting, Task lighting, and Accent lighting (all others are variations of the spectrum). 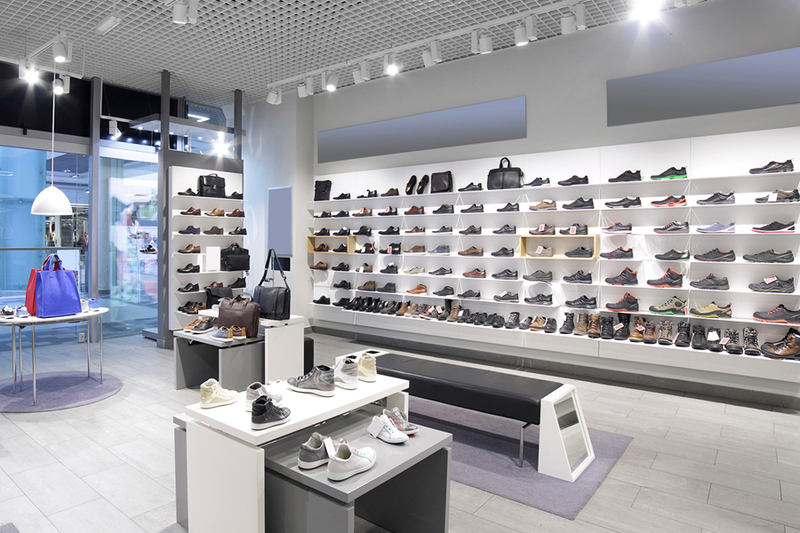 Ambient lighting likely illuminates the majority of your store. For example, a strong light fixture in the center of your ceiling is a great general-purpose choice. Task lighting lights up one section of your store, say the counter for example. It can serve to draw customers to important sections in your store. Accent lighting, however, serves to make one or two displays stand apart from the others. This style is perfect for showcasing your best products. Still, the best strategy would be to use all these styles in combination. You get the best results that way. If you want to show off certain products to customers subtly, backlighting may be a good idea. 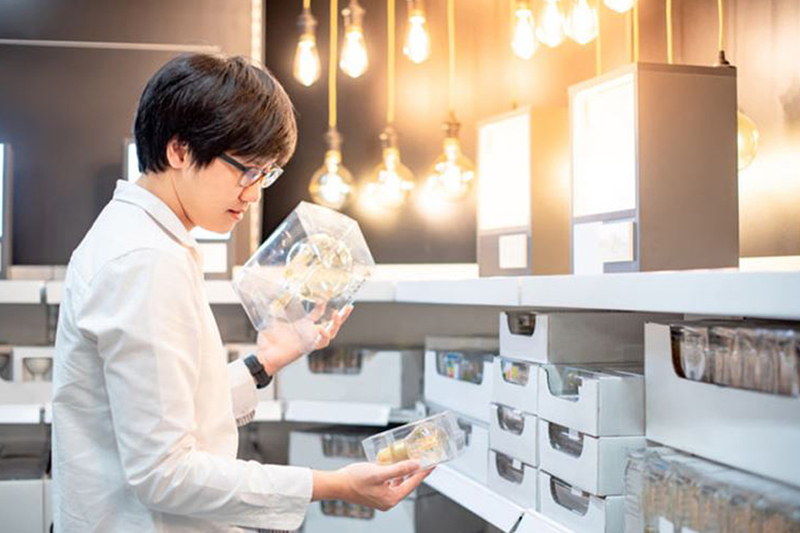 Since it’s softer on the eyes, it helps customers easily scan through large groups of items to pick out one that suits them, like for example searching for a frame of glasses or a pair of shoes from a shelf. Backlighting is best for letting your natural products stand out without becoming the center of attention. True, dark corners in shops aren’t appreciated by the majority of customers, which is why you might want to eliminate all shadows from your store. But before you do, take a look around to see if these shadows can help you. Instead of using extra accent lighting to help some items stand out, why not try and use regular lighting and shadows to create that same contrast? It won’t work for everyone, but if you think it might work for you then at least give it a shot. It’ll be both aesthetically pleasing and light on your pocket.